The Tesla Math - How the heck does THIS make sense?? 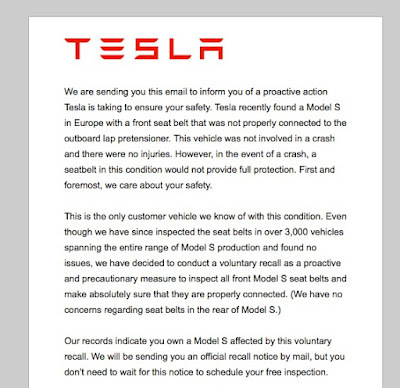 All Model S owners should have received the notice below. 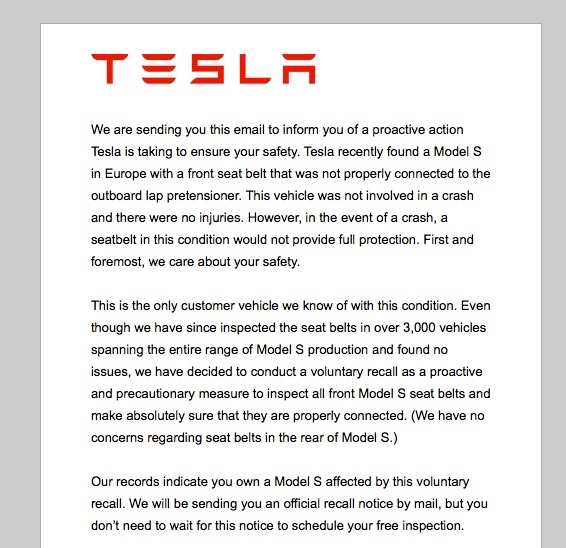 I don't think it's a big deal (Tesla being their typical proactive selves have recalled every car ever built because ONE car showed a possible problem) but there's no harm in a once-over. With so many of you hitting the roads this holiday season, I realize a lot of folks might be traveling through my "neck of the woods" for the first time. Even if it isn't your first time, indulge me in a little description of what we call the "Must-Do Detour" between the Somerset, PA and Hagerstown, MD Superchargers. Yes-- yes, I'll admit this would be a far superior excursion in warmer weather. But even in winter I think you'll find it worthwhile and starkly beautiful. My parents and I would spend road trips listening to Garrison Keillor's "A Prairie Home Companion" to break up long stretches of music. As a restless youngster, the tales from Lake Wobegon were always a welcome respite from my father's Willie Nelson or yet another round of Peter, Paul and Mary complaining about their lemon tree love. In Lake Wobegon, everything was pretty idyllic despite also being able to prop up Keillor's local news with some entertaining stories. 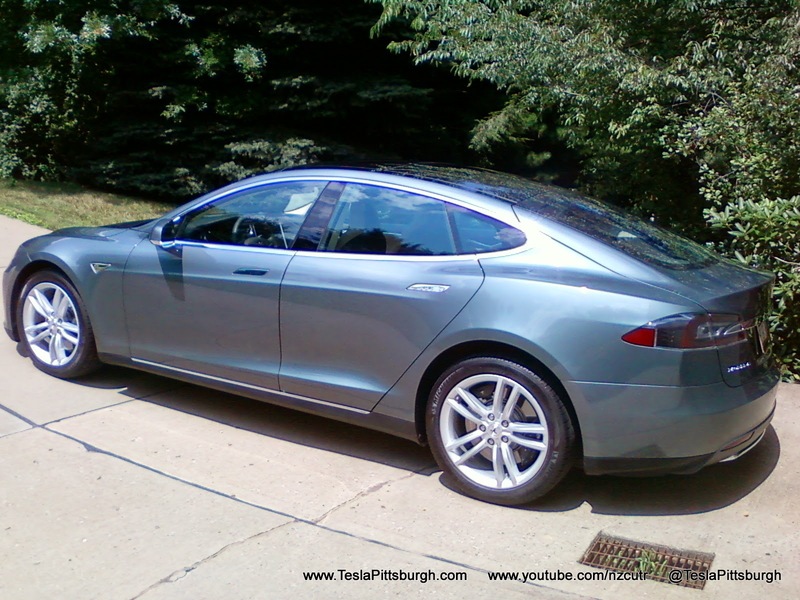 In April, I announced in a post that an official Tesla Pittsburgh presence was on the way. In May, I introduced the first (known) employee of that store, Katie (Hi Katie). Now, as school starts back up and the days get shorter-- and the new team has had a chance to get their feet under them (and a cooler display car!) -- I thought it would be appropriate to update the blog with some pictures of the Ross Park Mall kiosk and where Tesla goes from here. Ladies and gentlemen, may I introduce to you the newest member of Tesla Motors and one of our very own PITTSBURGH representatives, KATIE! Well... look what I found... A possible store coming to Ross Park Mall? Now GET out there and get yourself a DEAL! My day job is as a video editor and I'm always happy to find and applaud the work of my colleagues. This video (by Cinesaurus) is just one of many on their YouTube channel that is super-creative and well executed. Not only that, but the underlying message is part of the revolution I've long hoped for-- which I'll explain. While at first the Tesla connection might not seem obvious... WATCH and you'll find yourself smiling soon enough. Click through for the video: It. Is. EPIC. As I write this, there remains a small patch of snow clinging to Winter in my front yard. It's April tomorrow, but this doily sized clump is being stubborn. It has not been an easy Winter for us. Changes and (admittedly) some first-world problems have tried to consume our good cheer. TRIED. Ah, but you're here because you're curious about the car. I know, I know... I will be getting to that in a lot more detail soon. For now, let's flash through the last month or so since the last post to get you all caught up and preview what's to come. We'd ventured out after a morning snow storm to attend a Super Bowl party-- sorry, to watch "The Big Game"-- figuring the worst road conditions of the day were past us. Even if they weren't, my expectation was for the possibility freezing rain and black ice-- so the question was: Take the AWD Subaru on all season tires... or take the RWD Tesla on its winter Nokians? Reasoning that traction would be better for turning and stopping with the winter rubber compound tires than with the AWD alone, we took the Tesla. And we almost didn't come home with it. Whether you're digging behind bushes to access your parents' dryer outlet or carefully inching your Model S close to rusted farm equipment in hopes of reaching an ancient welder's plug at your crazy uncle's place, remember that the juice you use is cheaper than gas and the car is a lot more fun! What you need then is a way to bring the power more conveniently to your car... and this is the solution. I love traveling. Going places, seeing things, meeting people... It really stimulates the grey matter "more betterer" (as we say in the TV biz) than just about anything else. And yet, waking up on the morning I get to go home is always a special feeling. A mixture of melancholy for the adventure drawing to a close, anxiety for the potential travel tribulations, excitement for the last vestiges of discovery the trip might reveal and the hope of my next night's sleep to be.. in.. my... OWN BED. Oh yes, truly: Be it ever so humble, there is no place like home. Waiting down by the warehouse, in the dark, was our ride home. Fully charged, ready, and finally...it was time to go. We were going home. HOME.